There are many resume builders out there to choose from, but few are simple or easy to use and even less are actually free. 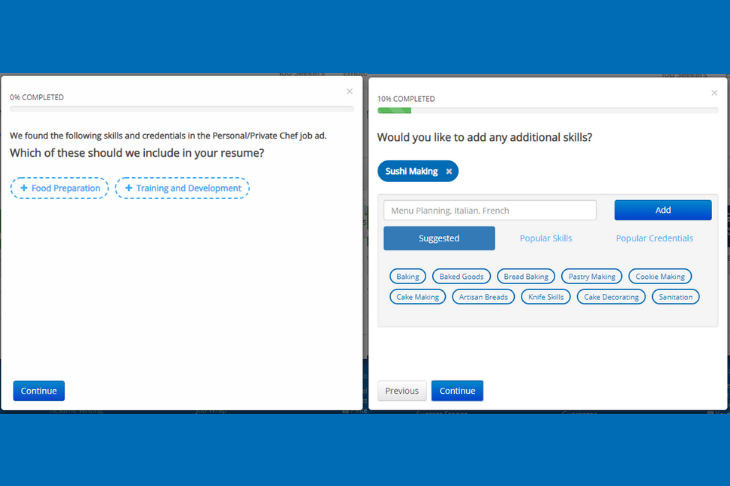 When iHire decided to create a resource for job seekers without a resume, our top priorities were to make the tool painless to use, accessible to everyone, and mobile-friendly. 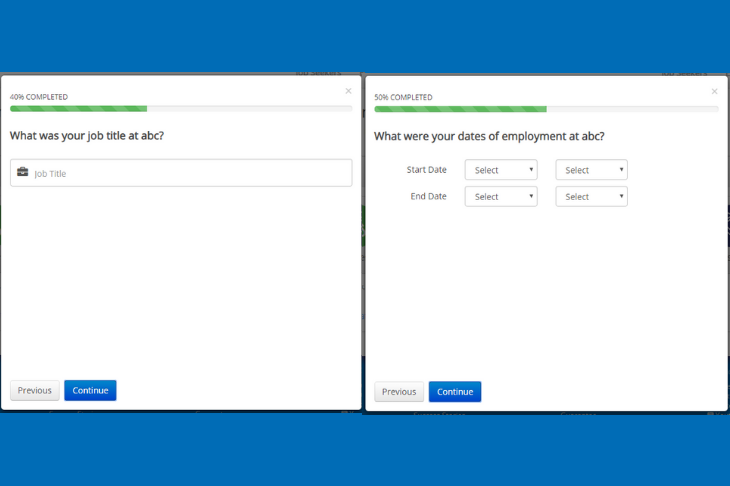 Users can access iHire’s free resume builder as part of the Quick Apply experience, which enables job seekers to apply for positions in just a few clicks without leaving the iHire site. 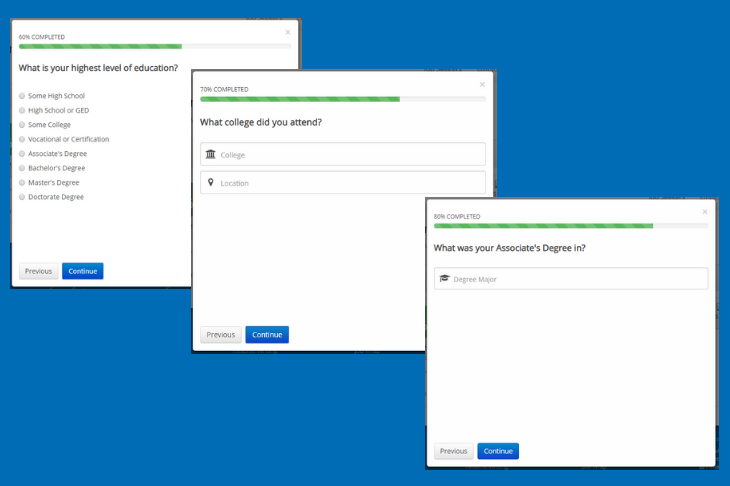 The Quick Apply process has always been fast and straightforward, but we’ve made it even better with the addition of our simple resume builder. After completing the very first step of the Quick Apply process by providing name and contact information for the hiring manager, the next direction is to attach a resume to your application. This is where individuals without a resume would often get stuck and give up on the job. 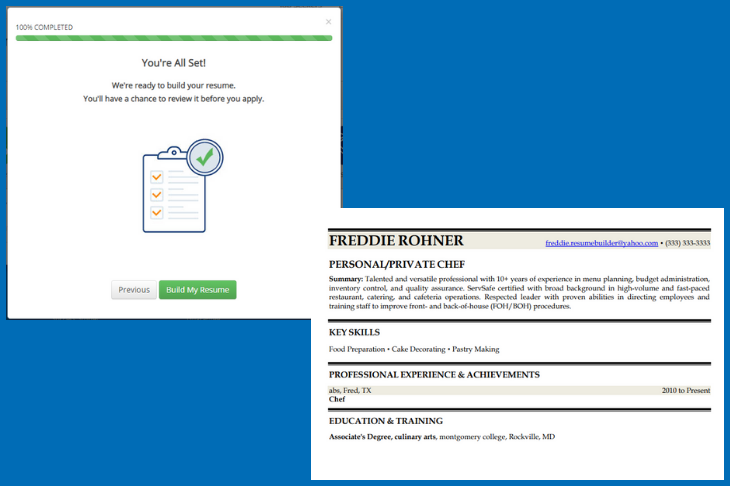 By creating an easy resume builder, we’ve made these job postings accessible to all. Once you’ve decided to use iHire’s resume builder to create a basic document for your job application, the first step is to identify your skills. We do this by scanning the job posting for specific qualifications as well as asking you to add any other skills you want to highlight. After adding your skills, you must provide basic information about your work experience, including where you are currently employed or worked most recently. Next, you’ll need to provide your job title and dates of employment for that role. You’re more than halfway done! After you’ve supplied basic details for your work experience, all that’s left is to get a little information about your educational background. Your journey on iHire’s easy, free resume builder ends with the opportunity to add a brief summary paragraph. Although this step is optional, it is highly recommended that you take the time to draft a few short sentences highlighting your experience and qualifications. A well-written summary will make your application stand out from the crowd. Once you add your short summary (or simply click the “continue” button), you’re ready to see the final product. Don’t worry – you will have the chance to review your iHire-built resume before completing your job application, and you will also be able to download the document for your records. 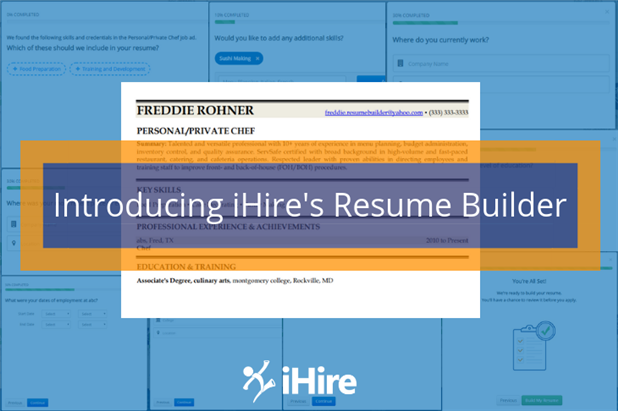 With your brand-new resume created through iHire’s simple resume builder, you’re ready to submit the document to your prospective employer. You will also be given the opportunity to add a cover letter to your application. Are you ready to take iHire’s free resume builder for a test drive? If you don’t have access to your resume or have never written one before, this basic tool will give you a professional-looking document that you can send to potential employers or use as a basis for creating a more thorough resume. And if you need further help with writing your resume, iHire offers a wide range of educational resources as well as professional resume writers on staff who are ready to write your resume for you!